Cerro Prieto-Cerro la Luz Reserve has been extended by another 86.5 acres (35 hectares) thanks to World Land Trust (WLT). The reserve is owned and managed by Grupo Ecológico Sierra Gorda (GESG), WLT’s conservation partner in Mexico. In line with its policy to expand existing reserves rather than create new ones, GESG has been gradually increasing the area of Cerro Prieto-Cerro la Luz Reserve by buying up adjacent properties when they come on the market. As well as funding land purchase to extend the reserve, WLT supports the employment of two rangers to patrol and protect the reserve. When left unprotected, the forests of Sierra Gorda are subject to illegal logging, which makes the rangers’ vigilance – and WLT’s Keepers of the Wild programme, which funds them – all the more essential. The reserve consists of two peaks (Cerro Prieto and Cerro la Luz) with a distance of five kilometres between their highest points. 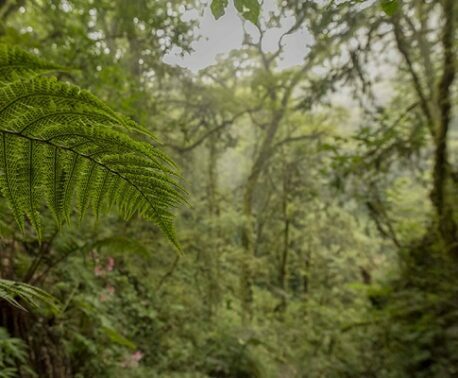 The landscape is unusual with jagged limestone peaks and deep sinkholes and ancient oaks growing alongside agave and bromeliads in a mix of cloud forest and temperate forest. The area has a rich botanical diversity with new species currently being described (Agavaceae, Cactaceae, Lentibulariaceae). 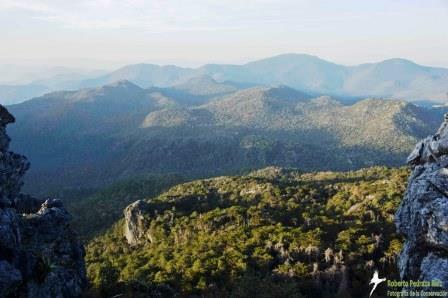 A number of rare species of mammals and birds are found in this area of Sierra Gorda Biosphere Reserve. Among them are Margay (Leopardus wiedii), classified by IUCN as Near Threatened; Bearded Wood-Partridge (Dendrortyx barbatus), classified as Vulnerable; and Maroon-fronted Parrot (Rhynchopsitta terrisi), classified as Endangered. Also found in the area are two salamanders endemic to Mexico: Bell’s False Brook Salamander (Pseudoeurycea bellii), classified as Vulnerable, and the Chunky False Brook Salamander (Pseudoerycea cephalica), classified as Near Threatened. 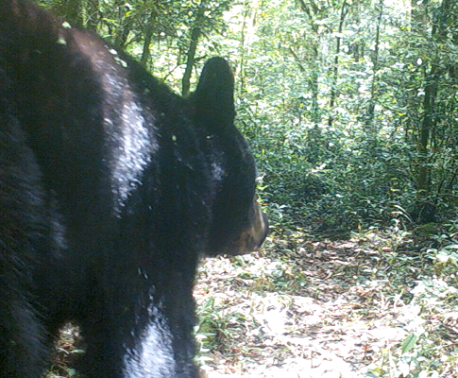 A donation to WLT’s Buy an Acre appeal will help save more threatened habitat in Sierra Gorda.